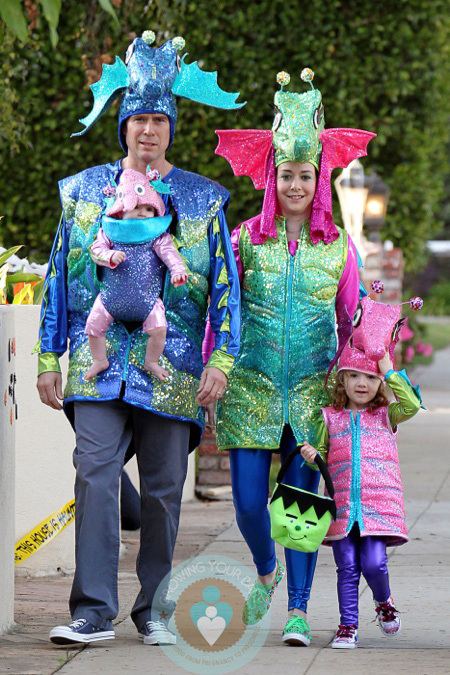 Famous for their family costumes actress Alyson Hannigan and her husband Alexis were sweet in sparkles as a family of seahorses on Wednesday night! While all decked out in shimmering vests and elaborate head pieces, the family made their way through the neighbourhood collecting treats. Even baby Keeva got in on the action, riding in a Bjorn baby carrier that was covered in matching material while wearing a pink one-piece and hat! 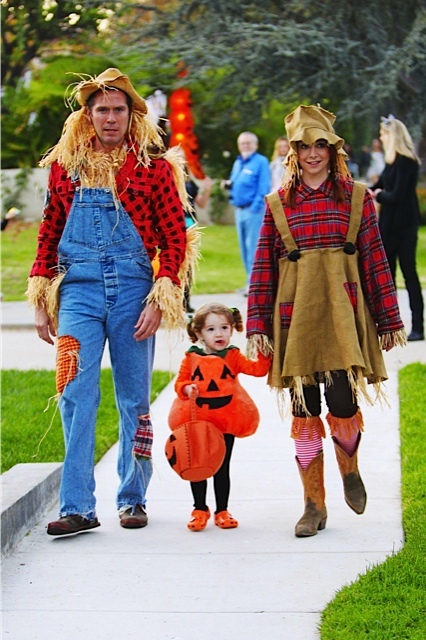 Last year the couple dressed as a scarecrow family with their baby pumpkin. The year before they were kangaroos with Satyana in their pouch! Chris Noth & Tara Wilson Trick Or Treat With Their Little Slugger in LA!